Have you heard of Papabubble? This artisanal candy shop with the quirky name, started in 2004 in Barcelona, after their big succes they opened in more cities like Amsterdam, Lisbon, Tokyo, Sao Paulo, Moskow and NYC. 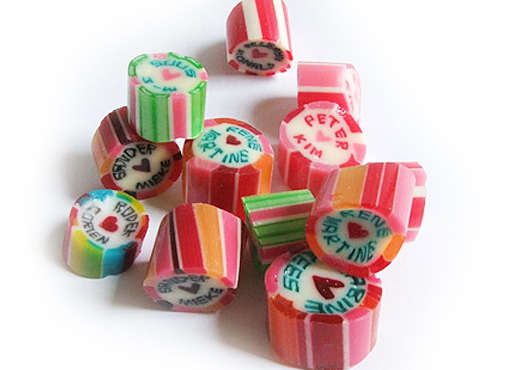 This candy company allows you to order customized candies in various shapes, amounts, colours and styles. 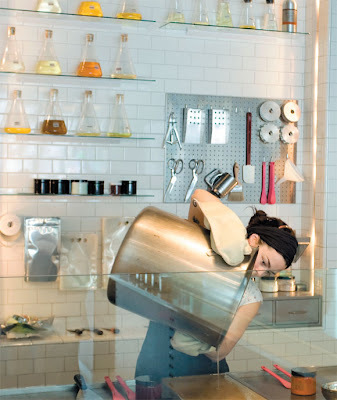 You can choose a cylinder, pillow or stick shape and choose your own colours and your own flavours. A dear friend of mine used the candies with custom made letters to spell the name of their babygirl and send it as a gift to friends and family as a birth announcement. They can also be used as a wedding favours, for those of you that are still looking for something original. 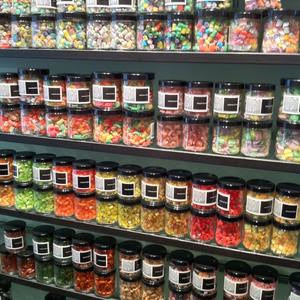 If you live in a city that has a Papabubble shop, go and visit them, if youé lucky they show you how it´s made.